See Freycinet in a way like no other! 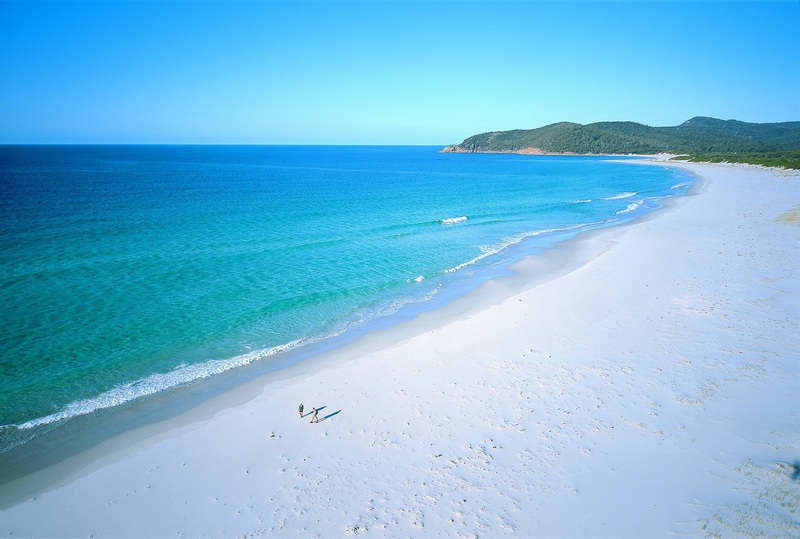 Riding your own all-terrain vehicle to isolated parts of the famous Freycinet National Park, you will see magical beaches and spectacular granite sea cliffs. This fully guided ATV tour gives you a truly special insight into this rarely seen coastal environment. 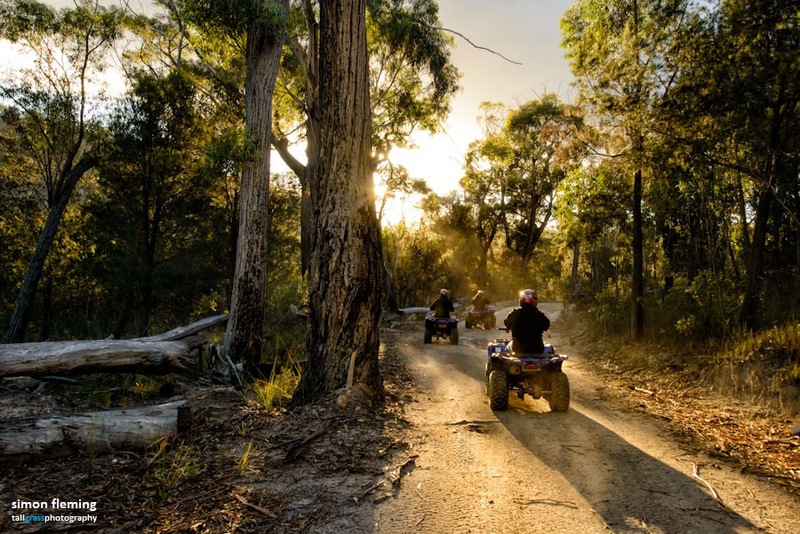 A quad bike tour is the perfect way to get off the beaten track and discover some of Freycinet’s lesser known beauty spots! The team of professional guides have extensive ATV experience. Best of all, no previous experience is necessary and all training is provided! During the tour we place a strong emphasis on interpretive tours of the national park and provide you with a full appreciation of the area with it’s rich cultural, historical and environmental heritage. Using ATVs allows people to feel a sense of freedom and connect with the area. You ride the bumps, feel the breeze and take in the sights and smells of nature. ALL Vehicle operators require a minimum Provisional drivers licence. 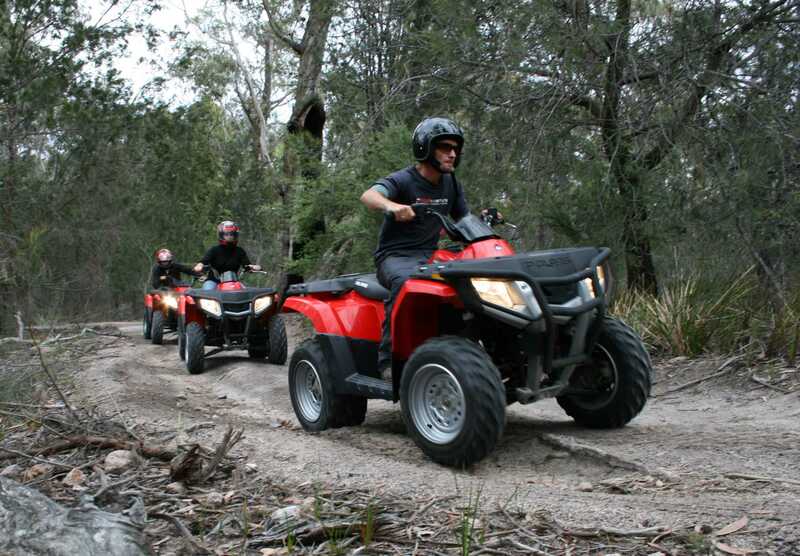 The combination of single rider ATV’s and three-seater passenger vehicles allows everyone to join in. The vehicles have automatic transmission, are simple to operate and suitable for beginners and up. All tours include an additional 30 minute training session. We are proudly carbon neutral and are a member of Greening Australia’s Breathe Easy program, ensuring we are taking care of the environment in the best way possible! Please note: Online bookings not accepted within 24 hours of tour departure.